Thermavance personal heating and cooling technology offers broad value for transportation, furniture, medical devices and garment applications. 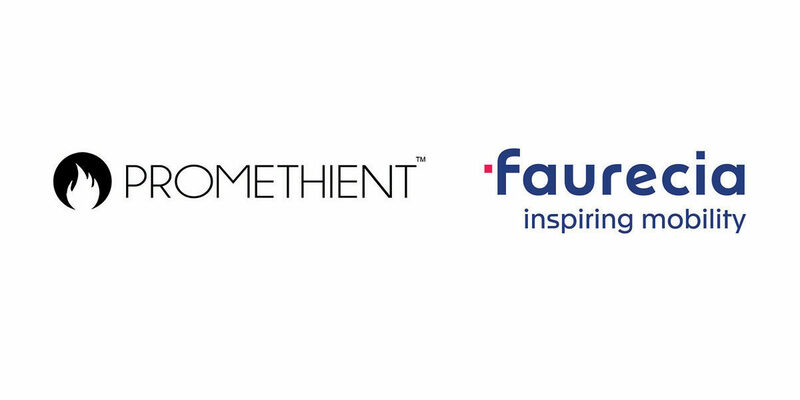 Traverse City, Mich. (May 23, 2018) – Traverse City start-up company Promethient has announced a new strategic partnership with tier one supplier Faurecia. Faurecia, a leading automotive technology company developing solutions for sustainable mobility and smart life on board, has become a strategic partner to Promethient and will hold a position on the company’s Board of Directors. Promethient recently launched its Thermavance brand of human-scaled climate control technology on March 1, 2018, which can be applied to automotive seating, medical devices, personal garments and furniture. Thermavance currently serves as Promethient’s main product offering. In conjunction with the investment, Faurecia has announced that Nik Endrud, Vice President for Strategy and Innovation, will join Promethient’s Board of Directors. Thermavance heats and cools through conductive heat transfer, rather than convective heat transfer, offering significantly higher efficiency than current technology. While most of today’s vehicles are equipped with heated and/or cooled seats, they rely on convective heat transfer, meaning they must first heat or cool air in order to heat or cool the vehicle occupants.